When your programming or debugging behaves bit differently with Atmel studio 7.0, you might want to take a look into what’s really happening or send it back to Atmel Support in such case. This blog explains how to do it. Goto Tools Menu -> Options -> Status Management. 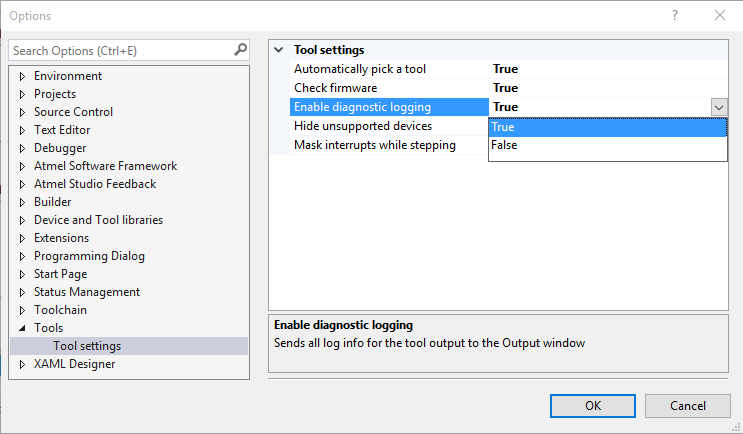 Now in the same Options dialog , click Tool -> Tool Settings -> Select “Enable Diagnostics logging” -> True. Click Ok and close the options dialog. 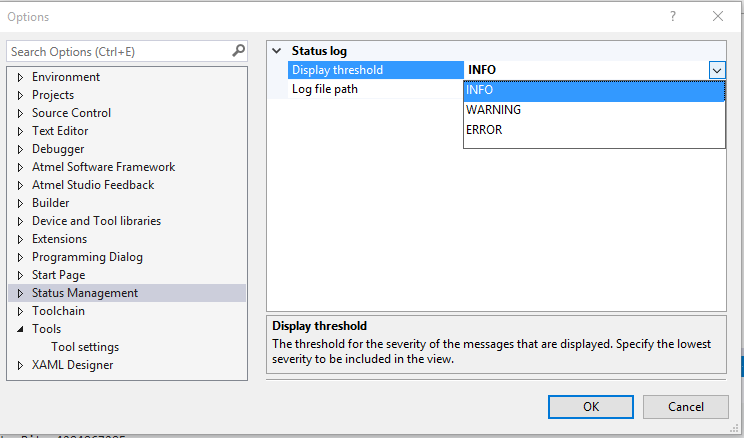 You should now have detailed logs in Atmel studio -> output window. (View -> Output). Make sure the tab “Backend agent” is selected. Have a good time with Studio 7.